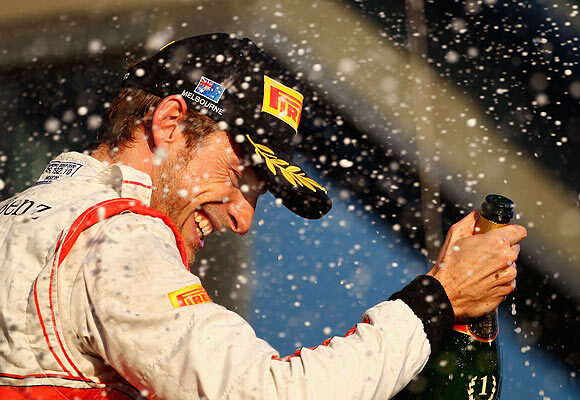 Jenson Button ignored an incident-packed race behind him and calmly steered his McLaren to victory at the season-opening Australian Grand Prix ahead of world champion Sebastian Vettel on Sunday. 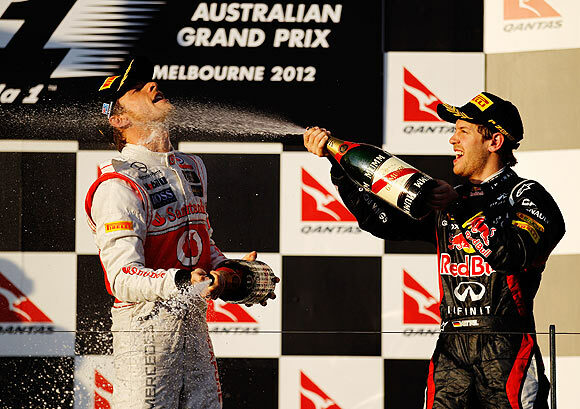 It was the Briton's third victory in four years at Albert Park, the 13th win of his career overall and he is the first driver other than Vettel to lead the championship since the German won the first of his two titles for Red Bull in 2010. 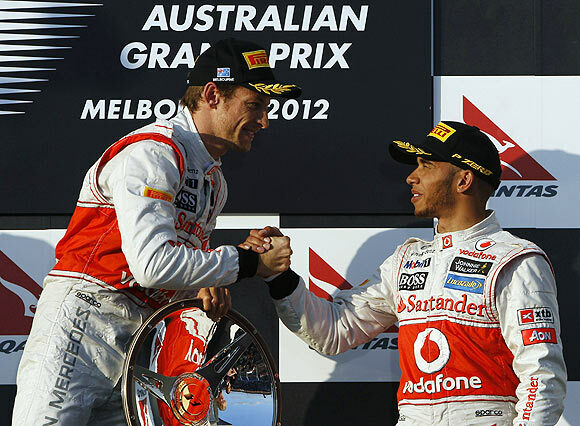 Button's compatriot and teammate Lewis Hamilton, who started on pole, finished third to round out the podium while Vettel's teammate Mark Webber was fourth, his best ever finish in his 11th attempt to win his home race. "Oh fantastic, what a great way to start the year, guys! Seriously, fantastic!" former world champion Button said on the team radio. "The car is beautiful and she's quick. Thanks guys." Button, who was second in the title race last year and on the grid on Sunday, eased in front of Hamilton from the start but both will have been happy to avoid the usual crush behind them at the first corner. Webber and compatriot Daniel Ricciardo were not so fortunate, the former sandwiched between two rivals as he dropped from fifth to ninth and the latter's car spinning 360 degrees and taking out the Williams of Bruno Senna in the process. Vettel, who started sixth on the grid, made the most of Webber's misfortune and by the end of lap two had passed Nico Rosberg with a superb move into fourth place behind the other Mercedes of Michael Schumacher. Vettel, who won 11 of 19 races last year including an absolutely dominant victory at Albert Park, benefited from a mid-race safety car to get past Hamilton but conceded he had been very much second best. 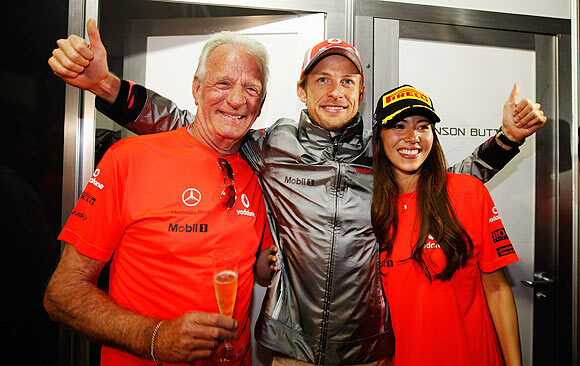 "I think Jenson was unbeatable today," he said. "I'm very happy with second, it's a lot of points. They are the ones to beat at the moment and we'll see what happens next week." 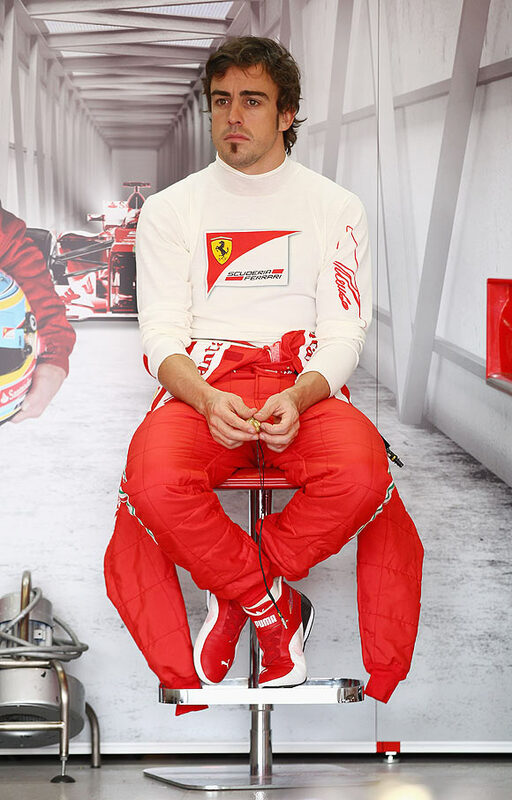 Fernando Alonso drove a spirited race to finish fifth for troubled Ferrari ahead of the Sauber of Japan's Kamui Kobayashi after Williams driver Pastor Maldonado crashed out spectacularly on the final lap while running sixth. "After yesterday's qualifying to be fifth behind the two Mclarens and two Red Bulls is a pretty good result in terms of number of points," twice world champion Alonso, who started 12th, told Sky TV. 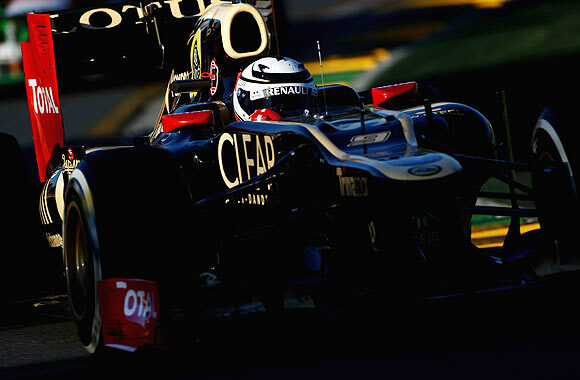 Finland's Kimi Raikkonen, one of six former world champions in the field, impressed on his return from two years out of the sport to finish seventh for Lotus. When seven-times champion Schumacher went off the track onto the grass on lap 10 to effectively end his race, Vettel swept through into third place and started trying to eat into the 10-second gap to the McLarens. An opportune safety car when Vitaly Petrov's Caterham ground to a halt on the start-finish straight 20 laps from the end allowed the German to leap-frog Hamilton. But when the track was finally cleared at the end of lap 41, Button simply eased away from the world champion and took the chequered flag after one hour 34.09 minutes, 2.1 seconds in front of the German. Mexican Sergio Perez had started right from the back after changing his gearbox overnight but finished eighth for Sauber -- the same place he claimed on his Formula One debut here last year before he and Kobayashi were disqualified for technical infringements. Ricciardo finished ninth on his home race debut for Toro Rosso despite an accident at the start, while the last point was won by Force India's Paul Di Resta in 10th. Raikkonen progress through the field from 17th on the grid also benefited from the chaos caused by Maldonado's late crash and made up in part for his Lotus team mate Romain Grosjean's early exit. The Frenchman had lined up third on the grid and was sixth when Maldonado overtook and in the process smashed his front right wheel. Six cars retired from the race, including the departure of Petrov, which effectively cost Hamilton second place. "It was a bit of a tough day but there are plenty more races ahead so I'll just have to keep my head down," said the 2008 world champion.